EK Water Blocks, premium performance computer water cooling manufacturer, has finished work on EK-VGA Supremacy, the newest additional to EK GPU water blocks family. 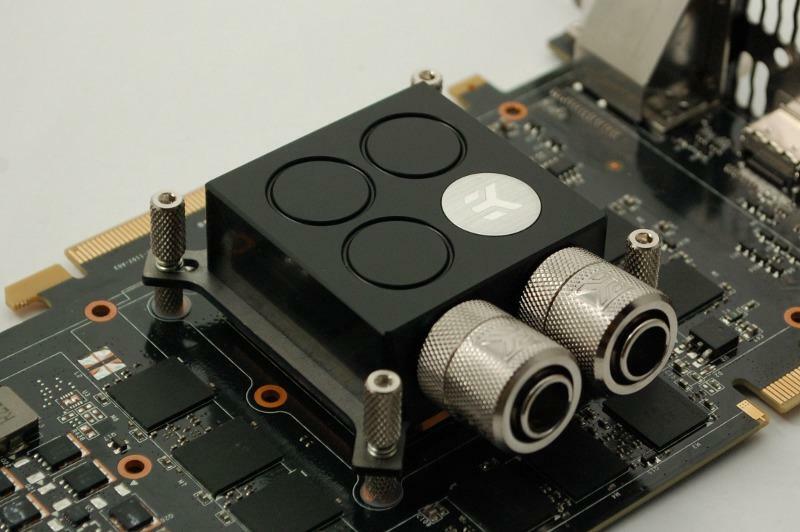 EK-VGA Supremacy is a highest performance universal GPU water block built off EK-Supremacy cooling engine. As a result this product again combines top hydraulic and thermal performance. The EK-VGA Supremacy cooling engine uses similar, yet refined as per needs of modern microprocessors, fin design as its ancestor. The cooling liquid accelerates through jet plate’s nozzle and turbulently continues its path through numerous very thin channels which provide extreme cooling surface area. Specifically designed and carefully machined copper base (sometimes referred to as ‘cold plate’) is made from purest copper available on the market and is further polished to absolute mirror finish. This alone greatly improves the cooling performance of EK-Supremacy. The top is made of quality satin finish acrylic material or POM Acetal material (depending on the version). Plexi variants of this water block features two slots for easy installation of 5mm LED diodes. This successor of world renown EK-VGA Supreme HF will make it’s debut on August 27th 2012, but it’s already available for pre-order in EK Webshop.